A 40-Lesson eCourse by Tim Slade. 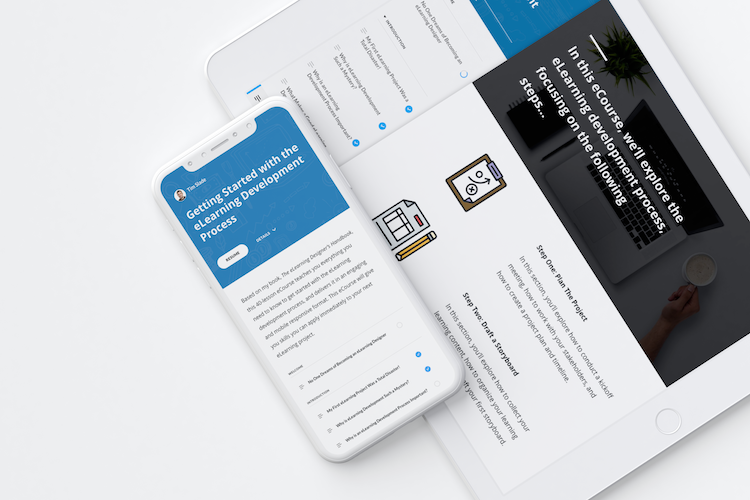 Based on my book, The eLearning Designer’s Handbook, this 40-lesson eCourse teaches you everything you need to know to get started with the eLearning development process, and delivers it in an engaging and mobile responsive format. This eCourse will give you skills you can apply immediately to your next eLearning project. Get the 40-Lesson eCourse today! Get Started with The eLearning Development Process Today! This eCourse is packed with interactive lessons, pro tips, explainer videos, helpful visuals, and insights from me, in my own words. In this section, you'll explore why eLearning development is hard for new eLearning designers, why having an eLearning development process is important, and the characteristics of a good eLearning development process. In this section, you'll explore how to conduct a kickoff meeting, how to work with your stakeholders and subject matter experts, and how to create a project plan and timeline. In this section, you'll explore how to collect your learning content, how to organize your learning content, and how to draft your first eLearning storyboard. In this section, you'll explore how to select an eLearning authoring tool, how to build a prototype, and tips for good eLearning design. In this section, you'll explore the importance of reviewing your course, how to conduct a quality assurance check, and how to facilitate user acceptance testing. In this section, you'll explore methods for delivering your course, how to organize your project files, and how to conduct a project retrospective. In this section, you'll explore tips for continuing your mastery of the eLearning development process and resources for new eLearning designers. 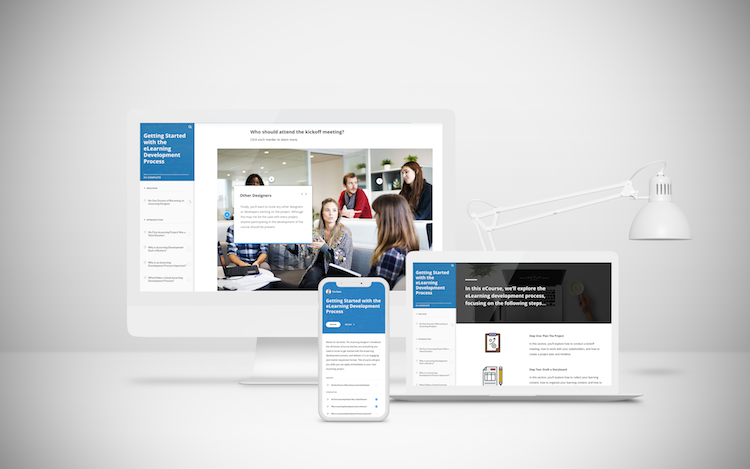 The Getting Started with The eLearning Development Process eCourse is 100% mobile responsive. Whether you’re at the office, on a train, or at home, this eCourse can go where you go. 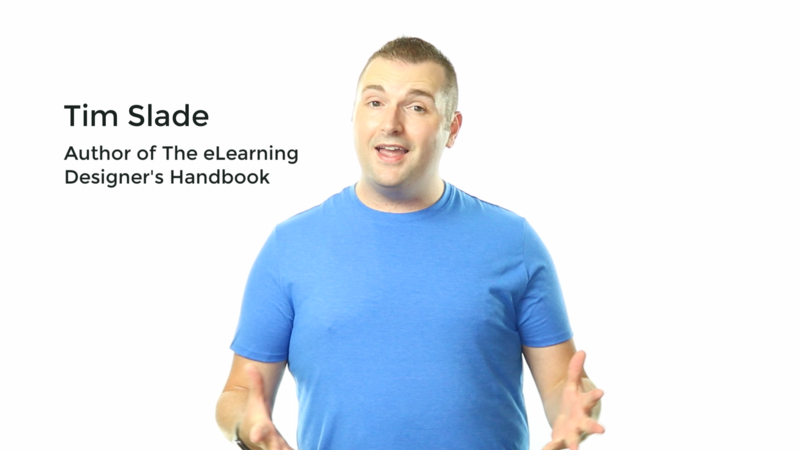 With The Getting Started with The eLearning Development Process eCourse, each section is packed with interactive lessons, pro tips, explainer videos, helpful visuals, and insights from me, in my own words. The Getting Started with The eLearning Development Process eCourse is based off my popular book, The eLearning Designer’s Handbook. Use them together to master eLearning development process. 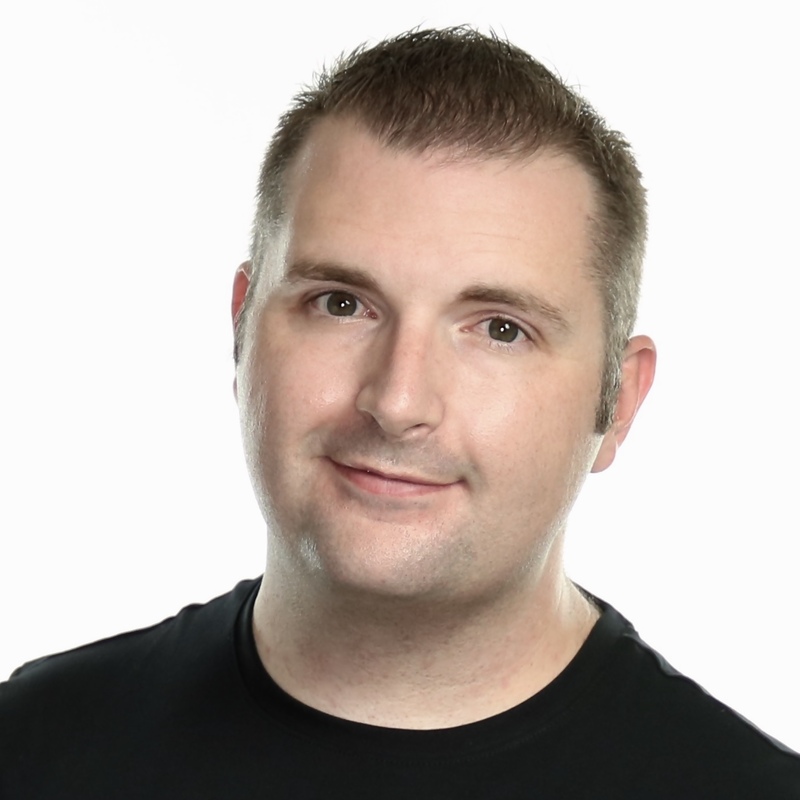 Tim Slade is a speaker, author, and award-winning eLearning designer. Having spent the last decade working to help others elevate their eLearning and visual communications content, Tim has been recognized and awarded within the eLearning industry multiple times for his creative and innovative design aesthetics. Tim is a regular speaker at international eLearning conferences, is a recognized Articulate Super Hero, co-author of the popular E-Learning Uncovered book series, and author of The eLearning Designer’s Handbook. Do I have to take the entire eCourse at once? Nope! The eCourse is 100% self-paced. I’ve broken The Getting Started with The eLearning Development Process eCourse into small, bite-sized lessons. Yep! Simply contact me to discuss your team’s needs and pricing (A.K.A, DISCOUNTS!) for multiple licenses. How will I know that I really learned something? Well, that’s up to you! 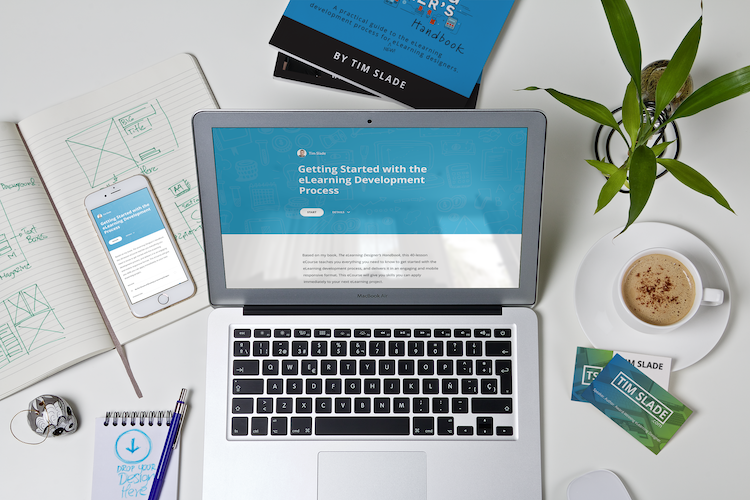 I’ve designed The Getting Started with The eLearning Development Process eCourse to offer practical information that’s immediately applicable. Can I take this eCourse anytime? Yep. The Getting Started with The eLearning Development Process eCourse is 100% self-paced. Can I take this eCourse on my phone or iPad? Of course! The Getting Started with The eLearning Development Process eCourse is 100% mobile responsive. So, are you ready to buy the eCourse now?